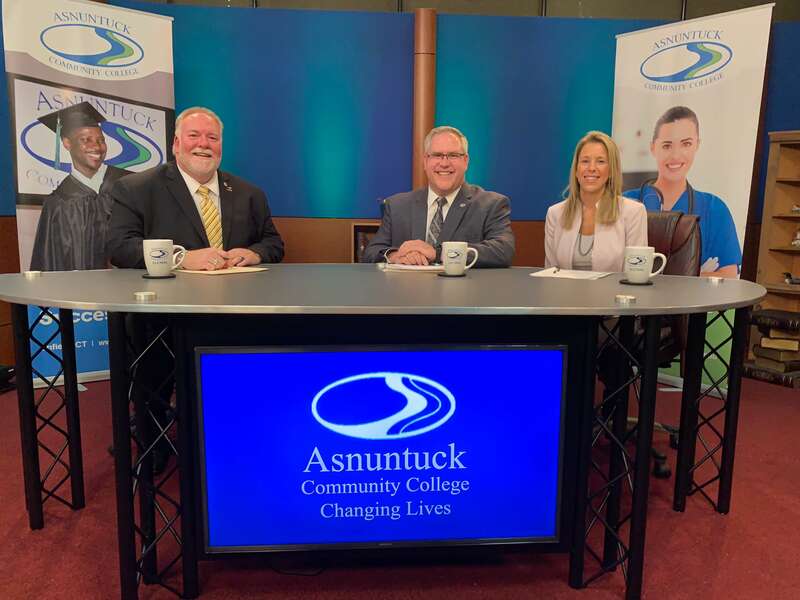 Dr. James Lombella, President of Asnuntuck and Tunxis Community Colleges, hosts the November episode of “Changing Lives.” His guests were Jennifer Brown, Director of Workforce Development and Non-Credit Programs, and Interim Dean of Student Services and Campus Facilities, Tim St. James. The show featured information on recent growth at Asnuntuck, including the new Advanced Manufacturing Technology building, additional space and renovations for the high school College Connections program, the college’s new façade, the addition of solar panels, and an expanded parking lot. President Lombella shared exciting updates about the workforce development programs, including the soon-to-be- unveiled Cosmetology program. Asnuntuck offers healthcare career certification, licensure, and degree programs which include Basic Skin Esthetics; Advanced Skin Esthetics; Certified EKG Technician; Certified Sterile Processing Technician; CNA/Certified Patient Care Technician; Dental Assistant (X-Ray & Infection Control Certified); Emergency Medical Technician; Medical Billing & Coding (CPC-Certified Professional Coder and CIC-Certified Inpatient Coder); Nail Technician; Ophthalmic Assistant; Personal Trainer (National Certification); Veterinary Assistant; Health Career Pathways; Health Information Management Technician (CPC-A); Certified Phlebotomy Technician; and Associate degrees for Registered Medical Assistant and Massage Therapy. Asnuntuck’s Massage Therapy Clinic is now open to the public. The sessions are available for $25 for 1 hour or $50 for a 2-hour session. Gift certificates are available. Reservations are required. Call 860-253-3081 to schedule your appointment. The Spa at Asnuntuck is also open. Treatments include back facials, waxing, body treatments, customized facials, make up application, manicures and pedicures. Please call 860-253-3083 to make your appointment. 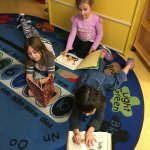 Asnuntuck will host an Open House on Tuesday, November 13th from 5:30 p.m.-7:30 p.m. Registration for the spring semester opens on October 29th. Produced by volunteers, Asnuntuck’s “Changing Lives” program airs on PATV 15, on Thursdays at 8 p.m. and Fridays at 11 a.m. The program can be viewed online by going to the website www.patv15.com-Enfield-Schedule – Asnuntuck Changing Lives. Visit www.asnuntuck.edu for more information on programs.